The capacitor is one component of your HVAC system that you may take for granted until your house is too hot in the summer or too cold in the winter. It can break or fail on your AC unit, causing your HVAC system to slow down or not function as well as it once did. It’s best to figure out first if there is something wrong with your capacitor, then get it fixed or replaced, rather than leaving it and having a complete HVAC system shutdown. The capacitor is a small cylindrical component of your HVAC system that stores energy. It produces a small jolt of energy to get the motor running. Just like the compressor, the blower motor, and the outside fan, a capacitor is an essential part of an air conditioning system. Here are a few of the more common symptoms or signs of having a bad capacitor in your home’s HVAC system. Once of the first signs of a bad capacitor is when the AC unit isn’t blowing out cold air. This means it might be blowing warm air or nothing at all. You can always try turning your system off and then on again. If that doesn’t work, then you’ll have to call in a professional HVAC repair technician. Does it feel like you’ve run your HVAC less this past year, yet the energy bills always seem to be rising? This can be an indication of a faulty capacitor. 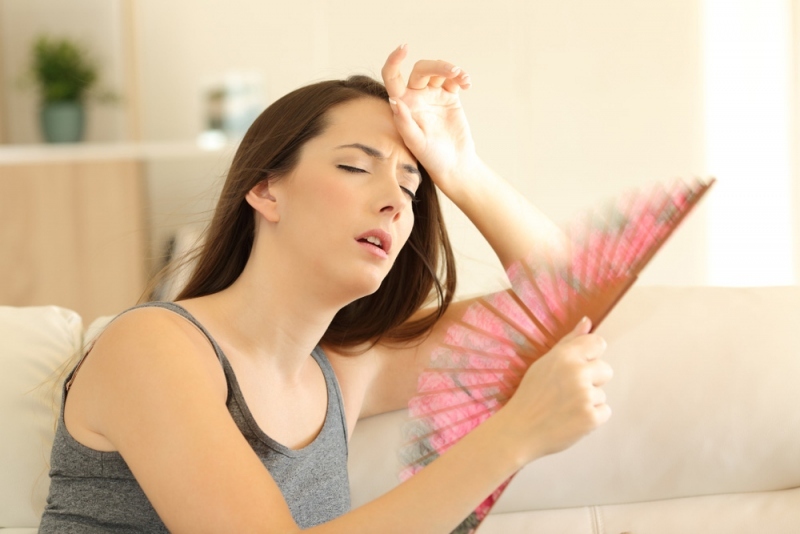 When your air conditioning system has to work harder, this means that it will take more energy to run. This results in higher hydro bills. If your AC system is emitting a strange humming sound when you turn it on, this can also be a sign that the capacitor is failing. You may even hear other strange sounds, particularly when it has a sluggish start. Can you see if the fan is spinning in your HVAC unit? If not, the capacitor may be blown. If you hear any humming or other odd sounds, it could indicate a problem with the capacitor. You can also try to nudge the fan with a stick and see if it’ll start running on its own. Is your HVAC system aging or old? Eventually it’s going to slow down. If it’s several years old, that’s the first warning sign, but if it’s also being stubborn or slow to turn on, that could be a sign that your capacitor needs to be replaced too. If your HVAC system is showing signs or symptoms of wear, it’s time to call in a fully trained and experienced HVAC technician. Instead of trying to diagnose it yourself, they can resolve your HVAC problem quickly. Since summer is ahead you’ll need to quickly and resolve any problems with a malfunctioning or broken capacitor so that your house is kept cool and comfortable in the summer. If you suspect you have a bad HVAC capacitor, contact the pros at Howard Air today. We’ve been serving homeowners in the Phoenix area for more than 40 years. You can count on the pros at Howard Air to get the job done right.